Contemporary range featuring a stylish lever design, the Cruze Contemporary bath filler is suitable for any modern bathroom. 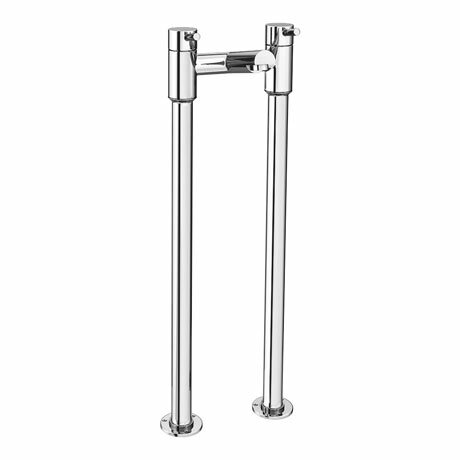 The freestanding heavy duty bath standpipes have a fantastic chrome finish, these standpipes allow you to fit a Bath Shower Mixer, or Bath Filler over the edge of a Freestanding Bath which has no tap holes. Not yet installed but seem very good quality for price. Very happy with purchase. Beautiful product that the pictures don't do justice! It arrived on time and well packaged. I put this into one of my rental properties and I will definitely be using it again in my next project and in my own house!Highly recommended product and this is the site to buy it from as the customer service, price and delivery are all top class! !